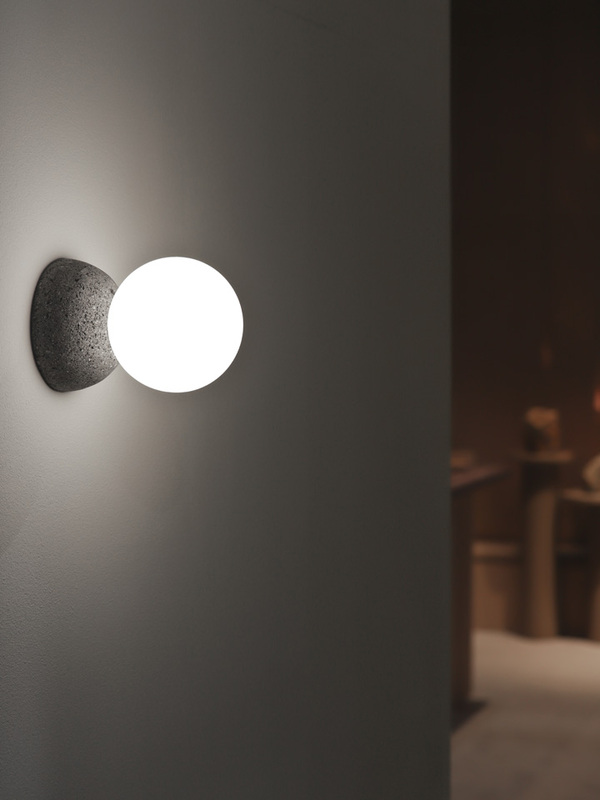 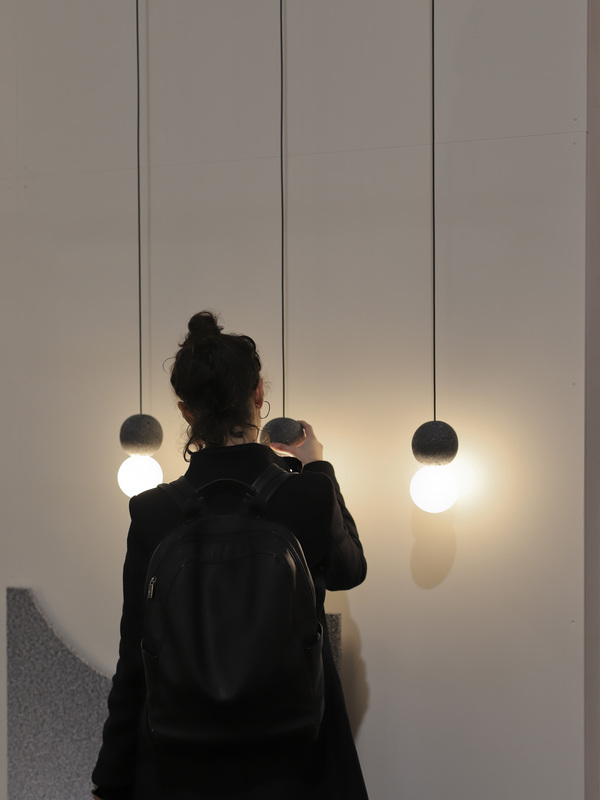 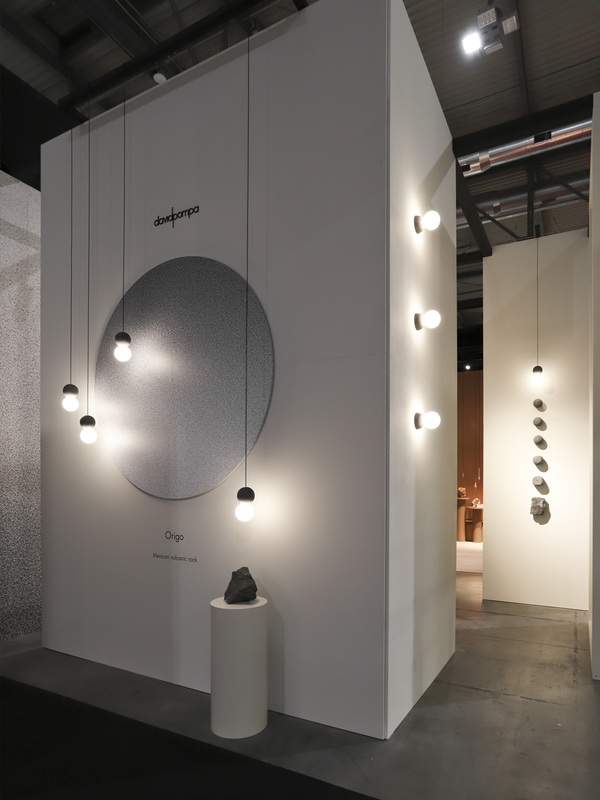 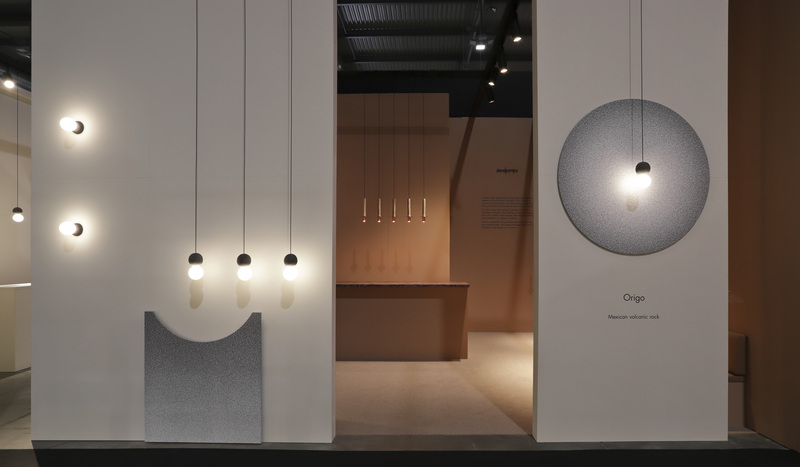 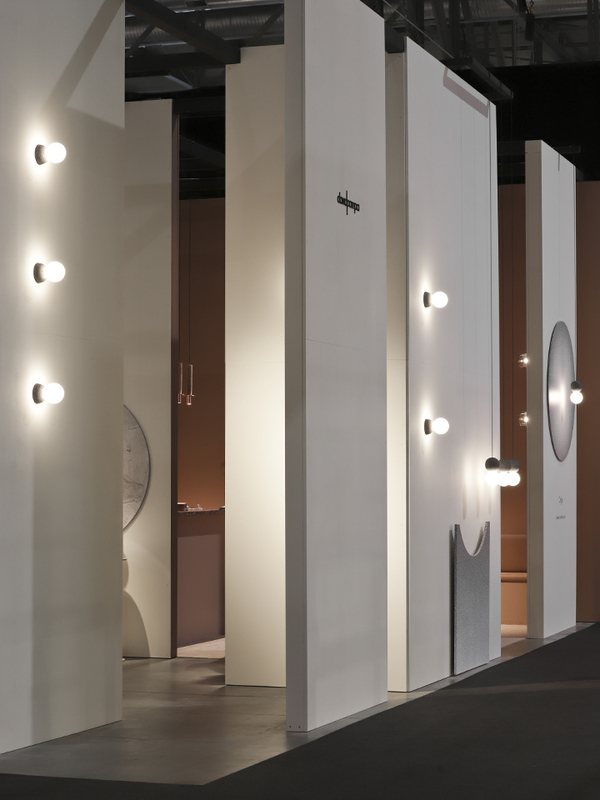 The Material Landscape at Milan Euroluce reflected the image of a practice. 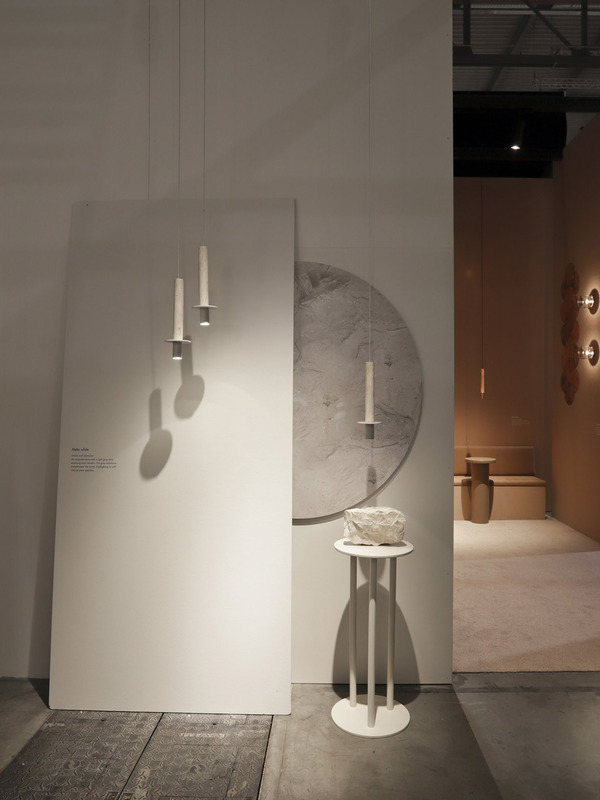 Bringing its essence and the language of its materials in relationship to human interaction, it presented them before a dynamic background. 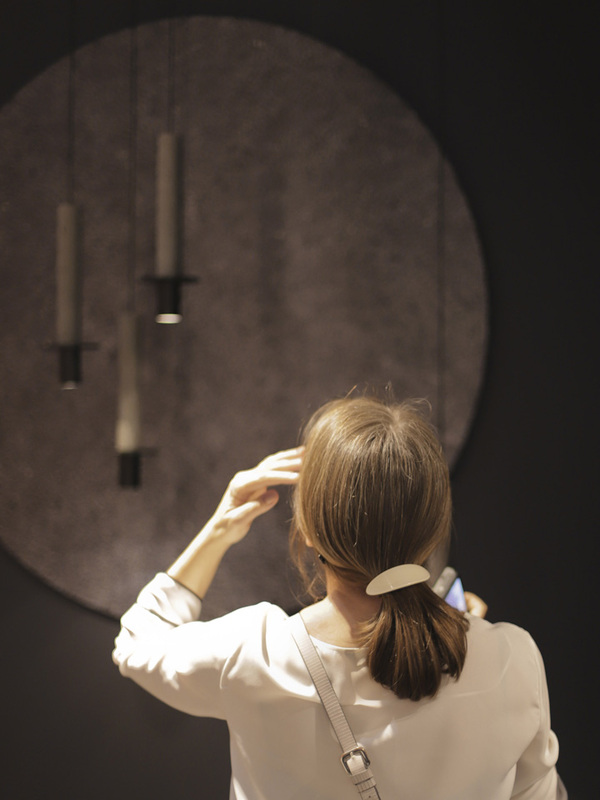 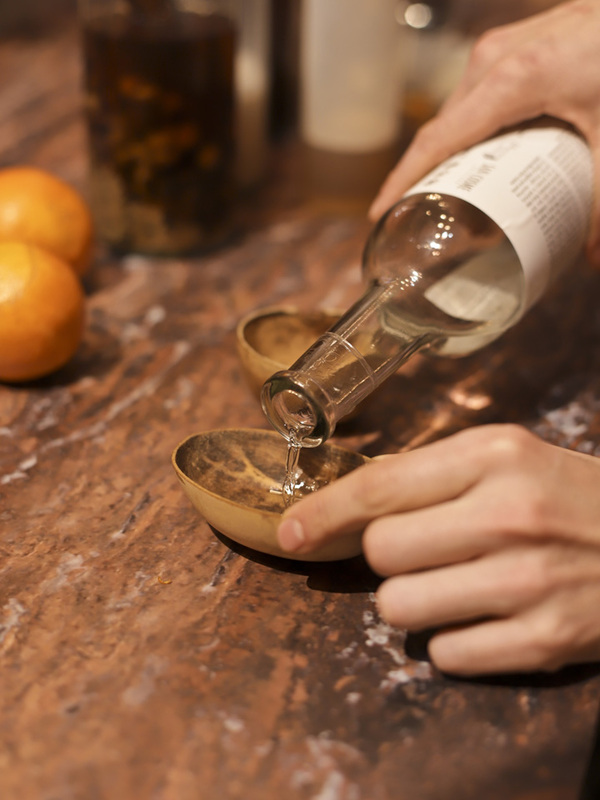 The perfect scenario to present Origo collection with volcanic rock. 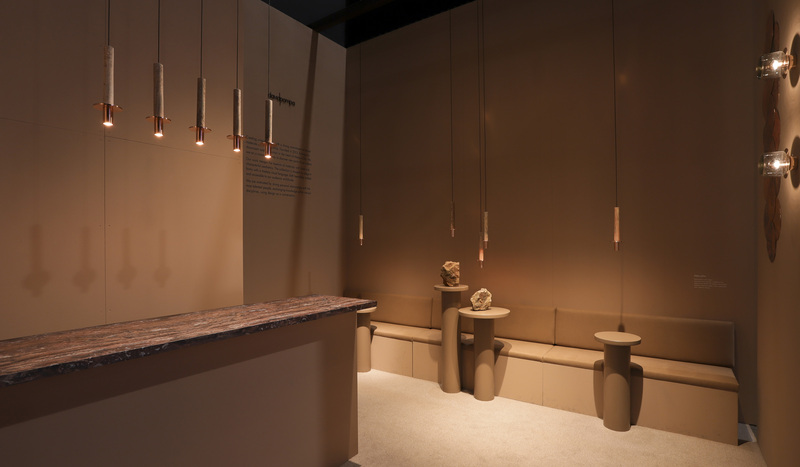 As part of the exhibition, Meta collection was presented, in two new finishes, red travertine and fiorito. 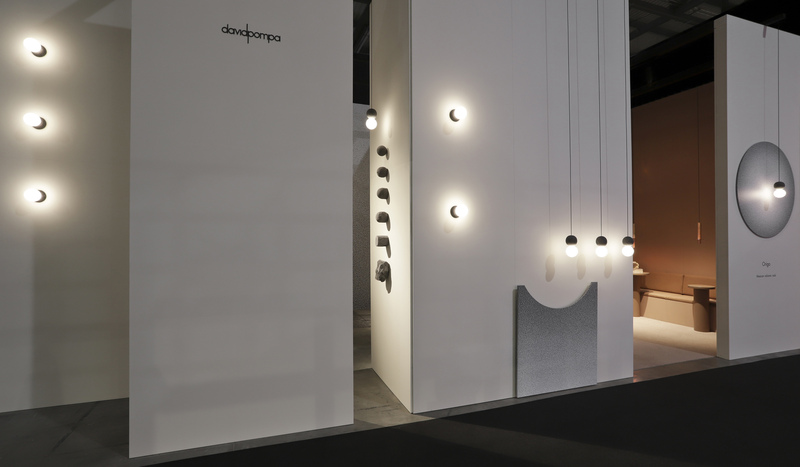 A strong concept matching Origo collection with the character of the brand. 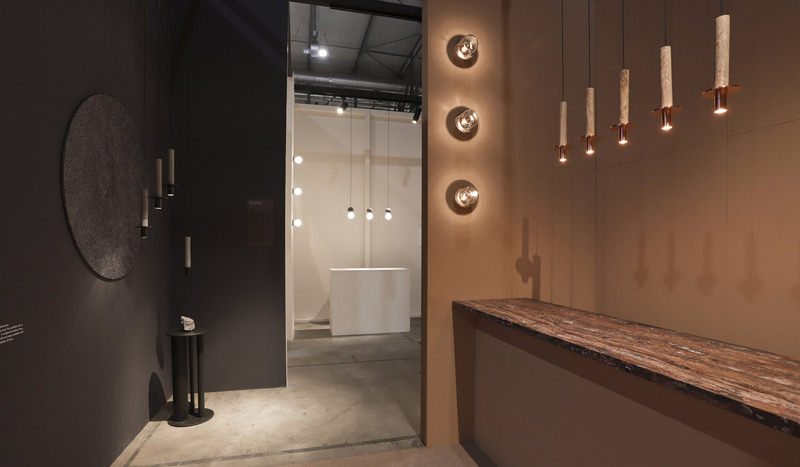 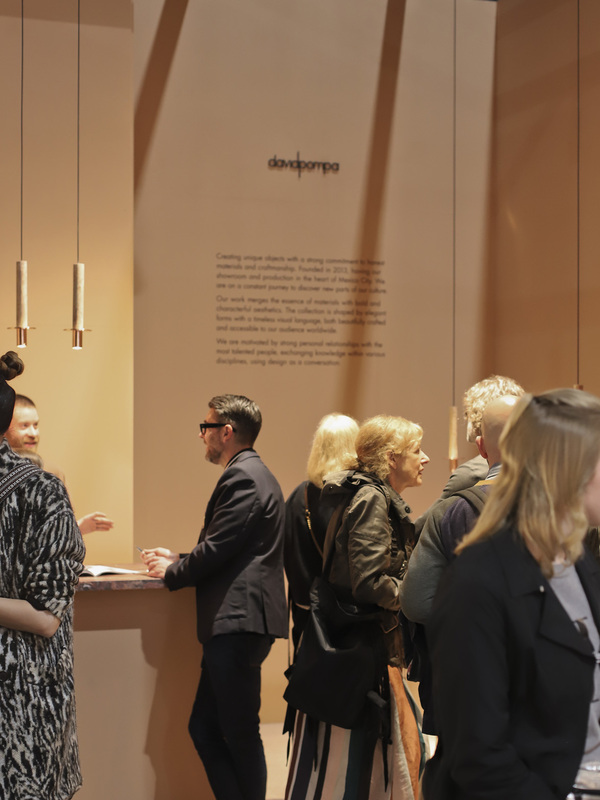 Studio davidpompa’s booth paired minimalism with a material experience. 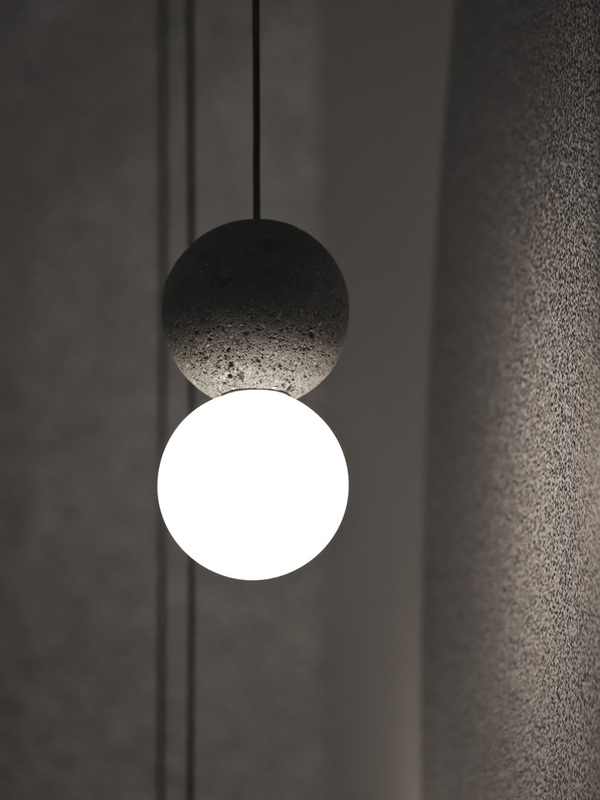 Enriching the black and white palette with a warm ochre tone.